One of the most common requests we get is ‘Can you fix the mobile phone coverage at my event?’ It may be a simple question but the answer is not. There are many factors involved – signal coverage, network capacity, availability of mobile wireless spectrum and the cost of temporary masts to name a few. For events held at a temporary site like a festival the permanent infrastructure put in place by mobile operators is simply not designed to deal with 10,000 or more attendees descending for a short period. 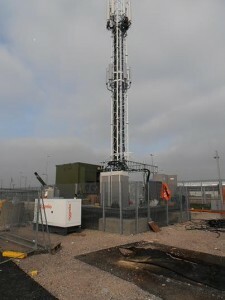 The current approach for bigger events is the deployment of temporary mobile masts but this is not generally a good solution as the masts are costly to deploy, require separate masts for each operator, do not offer much additional capacity and have limited spectrum available for use. The result normally being that experience during the event remains poor. Some operators have offered small ‘femtocells’ which provide a small area of mobile phone coverage using a broadband connection, however, they have been very limited in terms of how many users they can support and have to be registered at locations to be used. They also require all users to be pre-registered which limits their usability. Becoming a thing of the past? These on-going challenges with mobile coverage at events makes the announcement last week by O2/Telefonica about the launch of TuGo all the more interesting. On the surface it looks like another VoIP app like Viber and Skype but the difference is it uses your existing mobile number so it doesn’t matter to the caller whether you are on the normal mobile network or a Wi-Fi network. With Wi-Fi coverage at events under the control of the organiser this finally means that “mobile” coverage can be extended across event sites either just for crew or for attendees too. This can be scaled up or down based on need and tied to existing provision for event production teams making it far more efficient than having large mobile masts. There is a catch as the Wi-Fi voice minutes used do count against your normal voice minutes but given the way most mobile contracts are structured these days this is not such an issue considering the potential for improved coverage. At present only O2 have launched an app to do this but hopefully with the pressure from services such as Skype and now TuGo the other operators will follow suit and offer similar services. Maybe at last we will see mobile operators see Wi-Fi as an extension to their offering rather than a competitor.